Note: Does not contain polyethylene, even though one spelling of the chemical name has the very word polyethylene. dancing kites [two or more kites flying same circle or other figure from a lofted central point from which main tether begins downward journey; this saves the main long tether from sweeping and subsequent costing drag from such sweep. Rotokite is an instance. Also, see the record of fighter kites dancing from one main tether (video above). Think coteries, flowers, branching, bifurcations, trifurcations, quadfurcations. Also, consider following the kite arches with branches that in each branch could have dancing kite complexes from the arch; see KiteLab for some developments therein. See Peter R. Payne patent drawings (filed in 1975). Click image for full instruction. generate losses anymore. Kite masses can be higher. Kites can compensate each other during retraction, without lift control. 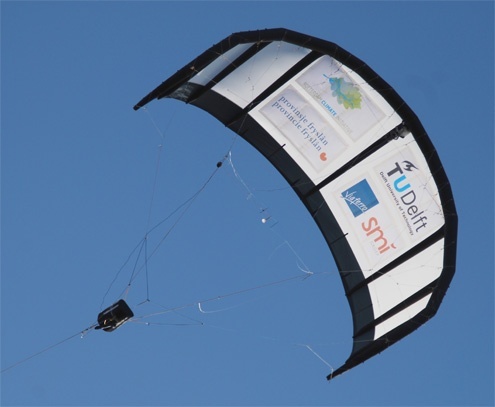 Get 14 kW per square meter wing, 40% better than single kites!" p. 28 of SourceHere. See also: balanced kites. The AWE Community is invited to advance the "dancing kite" file for all. 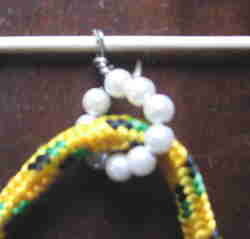 Darrieus beads on cables M389 Consult Darin Selby. Contra-rotating sets of Darrieus beads on cables. Darrieus wind turbine is a VAWT....or cabled on terrain would have a horizontal axis. Wiki. David Lang Awardee of The Wayne German Award for Kite Energy, 2009. Tether expert. Drachen Foundation. Founding member in AWE Community. DBR dirigible body rotator ????????? "being ready with the best possible solution for best possible "human use" (read as "planetary survival")." Design, Development, Test & Evaluation , etc. death comet :: "Death-Comet :: An unreliable high-mass high-speed kite"
This is antipolar to liberational kiting. decloaking How to make AWES visible to radar upon breakaway when radar footprint was nil before breakaway??? deformable wing, deformable kite wing, deformable kites Discuss soft kites, limp kites, cloth kites. Consider against "rigid" wings for kite systems. Consider "morphable" wings for kite systems. "Delphi analysis on airborne wind energy"
Some AWES will be deployed at altitude; the deployment will have specific loads occur related just to the deployment operation. "The depower line carries the entire load of the kitesurfer"
de-sanding Parafoils may have sand-leak pathways instead of absolute cell closures that retain sand. desirements Aspects of a system that are desired. What is desired in an AWECS? Contrast with "requirements." Dickenson Ski Kite ... a Rogallo hang glider stiffening the Rogallo Wing in an adaptation to the near-standard wing built by Ryan Aeronautical following the conferences and communications and associated leadership of Francis M. Rogallo within NASA. The tinkerer builder operated in 1963-1968 with a few versions from rough kite to finished aqua-glider. Others before that kite-glider demonstrated all the mechanical arts involved. 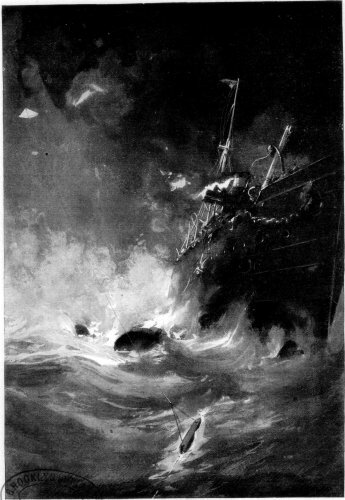 A concerted effort by a beloved friend of Dickenson bullied unearned accolades that had text strictly contrary to face; such sparked a sharpening of hang gliding history; but the bully retains a mammoth text that exhibits a huge non-sequitur that tries to have overclaim ride associatively with acceptable facts. DIO driver-induced oscillation. When kiting, the moving driving ground resistive set may have motions, accelerations, changes of motion texture, etc. that might induced oscillations in the tether set and the wing set of a a kite system. dirty-wind Dirty wind provides some niche AWE opportunities. Lift at the doldrums? How might that lift be mined for soaring records? Energy-production? Laser Doppler velocimetry (LDV), also known as laser Doppler anemometry (LDA) is a technique for measuring the direction and speed of fluids (or any other material that is processed like metal, paper etc) like air and water. Related: "Two-Stage Mechanical Oscillator -- A Mechanical Amplifier"
double-string tether The two strings may be loose or snugged or sheathed or inside one another depending on niche purpose. Consider tethers made of n-strings where n is any positive integer. dousings Use kill lines or RC or robotic methods to put a kite out of commission; using such stoppers is a form of dousing or downing a kite or kite system. dowse - slacken; "douse a rope"
dowel sled kite "The MBK Dowel Sled Kite"
downplaning "he main canopy and the reserve were beginning to interfere with each other. This is normal, but if it isn't checked then there is a risk of downplaning - an undesirable interplay between the glider and the reserve that results in an accelerating descent rate"
Open markets may tend to pare offerings; a down selecting occurs by purchase decisions; products not purchase will probably stop being produced. Wing construction where down feathers are selected for certain niche regions of a wing. Same for art constructions. Art pieces using down feathers will have the artist in a mode of down selection. The art piece might be kite system tail items, decoration, trailing-edge functioning pieces, etc. Drag has its useful roles. Zero drag for a body moving through another body might not be possible. However, explore quantum hydrodynamics, superfluidity, and superconductivity as part of an exploration of related boundary questions. drag mode Some AWES emphasize production of power in the drag mode. D-rib, d-ribs. Sometimes as drib or dribs Sometimes the hypen is dropped and a space used: "D rib" Sometimes with capitalization: D-Rib "d-rib technology"
"The innovative D-rib technology supports the kite from the inside, reducing the amount of line drag by reducing the bridle." Double surface (hang gliders, kites, airfoil) as opposed to SS or single-surfaced membrane airfoils. Perhaps more properly: double-skinned (DS), as a single skin (SS) has a top and lower surface. Count the skins or covers. DSGWT dynamic soaring glider wind turbine (DSGWT). Dynamically soaring gliders with RATs onboard. See also DSUTWP (dynamic soaring un-tethered wind power plants). Developing discussion is occurring in group AirborneWindEnergy. DSM Dyneema is the inventor and manufacturer of Dyneema ultra-strong fiber. This fiber, based on ultra high molecular weight polyethylene (UHMwPE), is used in many applications in various end-markets, such as life protection, shipping, fishing, offshore, sailing, medical and textiles. DDT&E Design, Development, Test & Evaluate , etc. Duke Energy AirborneWindEnergy/message/8399 KiteEnergy lists short note on Jan 9, 2013.
duty cycle and energy-production cycle for reel-in-out yo-yo AWES. Bi-modal system. dynamic oscillations of wings, of tethers, of control surfaces, etc. can be damaging or productive of assets. Whole AWECS may feature dynamic oscillating wings. Faired tethers may set up dynamic oscillations and subsequent drag; but the wingmills of KiteLab by Dave Santos use dynamic oscillation to good effect for generating useful wind-energy conversion. dynamic positioning wiki -A computer controlled system to automatically maintain a ship’s position and heading by using her own propellers and thrusters. http://www.youtube.com/watch?v=-3pa53GF8iA Raptor Force, full episode. Dyneema ® Main Dyneema® ropes.